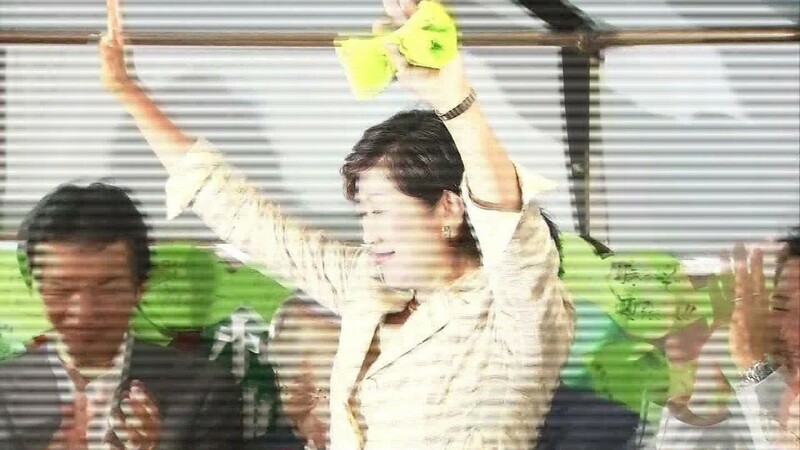 Could she become Japan's first female prime minister? Japan's much publicized push to boost the role of women in its workforce is falling short. The country's stagnating economy is hindered by a shrinking workforce -- the result of a rapidly aging population and a slowing birth rate. Meanwhile, millions of highly educated women aren't working. Getting more of them into jobs could lead to a dramatic change in economic fortune for Japan, experts say. But progress has been painfully slow since Prime Minister Shinzo Abe first pledged in 2013 to enable more women to work, a watershed moment for a traditionally male-dominated society. "This was the first time a prime minister connected women's issues to the economy -- that working women can be beneficial to growth," said Machiko Osawa, a labor economist at Japan Women's University. But "the reforms are taking longer than I expected." Abe's government is way behind on a raft of targets he set three years ago, experts say, including the goal of women holding at least 30% of senior positions in all parts of society by 2020. The situation is gradually improving. Roughly 66% of Japanese women are now working, up from around 60% in 2010, according to Kathy Matsui of Goldman Sachs. That's a record high for Japan, but still far below the 80% figure for men. It's also lower than the average of many other developed countries, according to the International Monetary Fund. Matsui estimates that bringing the percentage of Japanese women in work in line with that of men would lift the country's GDP by as much as 13%. Last year, the World Economic Forum ranked Japan 101st out of 145 countries on its Global Gender Gap Index, behind Botswana and Sri Lanka. The index looks at how countries are "leveraging their female talent pool," based on economic, educational, political and health indicators. Experts say Japanese employment numbers don't paint the full picture. Nearly 60% of the country's working women are in part-time or temporary jobs, many of which don't provide them with fair wages or social security benefits. Also, women in management are still few and far between. They make up only 7.5% of presidents at public and private companies and 8.3% of managerial positions in companies with over 100 employees, according to Catalyst, a non-profit organization that promotes gender equality in the workplace. Some experts also argue that the increase in working women has nothing to do with the prime minister's efforts, which have been dubbed "womenomics." They say it's a straightforward question of supply and demand. With a serious labor shortage -- there are 28% more jobs available than job seekers -- Japanese companies have had no choice but to start hiring women. But one clear advance came in April, when a law came into effect that requires companies with more than 300 employees to disclose the number of female employees and managers, along with specific targets and plans to support them. While there's no punishment for failing to publish the information, plenty of companies have rushed to comply. "Because Japan has a homogenous society, it is embarrassing to stick out," said Matsui at Goldman Sachs. "So everybody is compliant." At the very least, the transparency will mean that the public can now hold companies to account for meeting their own goals, she said. But more change is necessary, especially on policies that make it less appealing for women to work and instead promote the "male breadwinner model," said Setsuya Fukuda, a senior researcher at Japan's National Institute of Population and Social Security Research. At the moment, a head of household -- usually male -- can claim a tax deduction if their spouse makes less than 1.03 million yen a year (US$10,100). There are similar provisions for pensions and employer-provided health insurance. 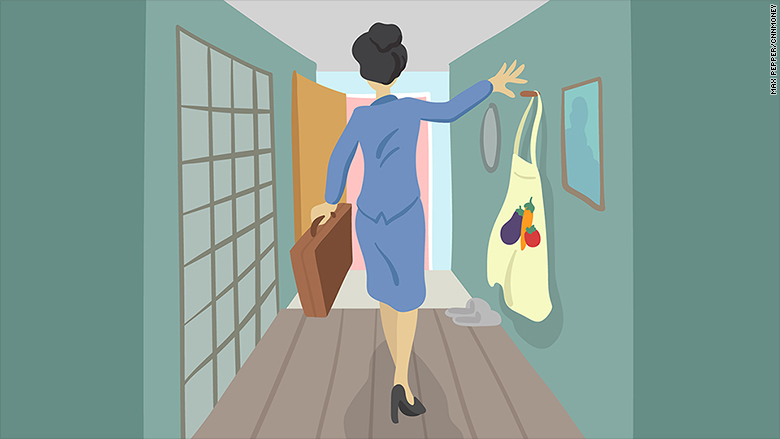 About 70% of Japanese companies even provide a dependent allowance, a financial incentive for wives to stay at home to manage their households so their husbands can focus on work, said Fukuda. Meanwhile, the country's economy continues to struggle. Prices are falling and growth is sputtering. Abe has resorted to postponing a big tax hike and preparing yet another stimulus package to try to boost growth. And questions are swirling over whether the Bank of Japan has exhausted its arsenal of monetary policy weapons. Japan is simply "running out of people," Matsui said. That's "the economic reality we're facing ... so we really need to focus harder on the women."